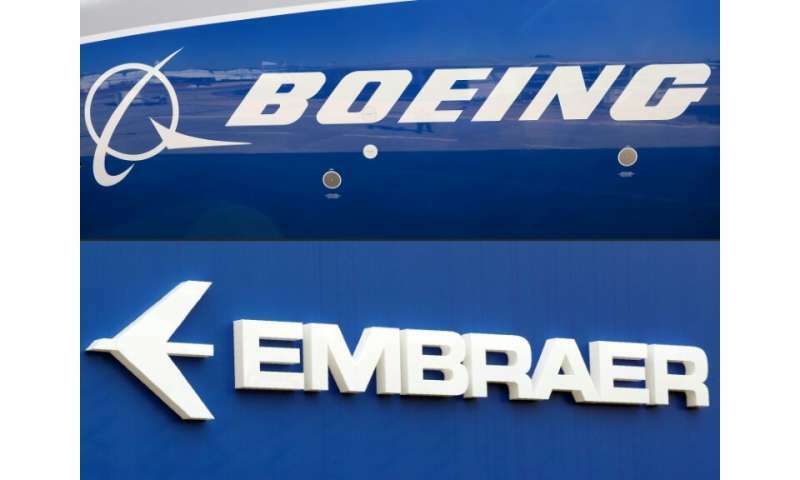 Brazilian aircraft manufacturer Embraer on Thursday signed an agreement for the sale of its commercial divison to Boeing—and set the date for a shareholders meeting to approve the tie-up on February 26. Despite initital reservations, Brazil's President Jair Bolsonaro already gave the deal—which will create a joint entity valued at $5.2 billion—his approval earlier this month. Embraer was privatized in 1994, but Brazil's government retained a "golden share" that gave it veto power over strategic decisions. On top of getting shareholders on board, the agreement must also be approved by regulators, among other things. If all progresses without delay, the companies expect to conclude negotiations by the end of 2019. Embraer is the third-biggest plane-maker in the world, making aircraft in the civilian and military markets. The latter are exempt from the Boeing tie-up, which was first announced in July. Under the deal with Boeing, the US company will take 80 percent control of Embraer's civilian business, putting it in a position to offer commercial planes with up to 150 seats.